As lawyers and politicians continue to argue over Brexit, with the latest talk being of a legal challenge, the workload on HR departments looks set to increase when, and if, changes are introduced into employment law. Although no-one yet knows what those changes might be, there are suggestions that a points based system could be used to govern EU migrants wanting to work in the UK in the future. According to the Chartered Institute of Personnel and Development (CIPD), this is just one of the potential changes that could take place and alter the way HR Departments currently work. When you couple such potentially wide-reaching legislative impacts with the rapidly changing nature of employment itself, which includes the gig economy, remote working, agency working, casual working, zero hours contracts, fixed term contracts, temporary contracts, and so on, then HR processes are going to have to be very robust indeed and they will need to take into account the needs of both the staff and the business. Add to that a fourth industrial revolution is taking place in manufacturing where Smart Factories are becoming the norm as technology is used to track processes with bar codes, QR codes and automated processes. And far from automation reducing head counts in companies, increased robotisation will mean that companies across a number of sectors will still need staff who can run the systems, and, more importantly, those systems will need to be responsive. 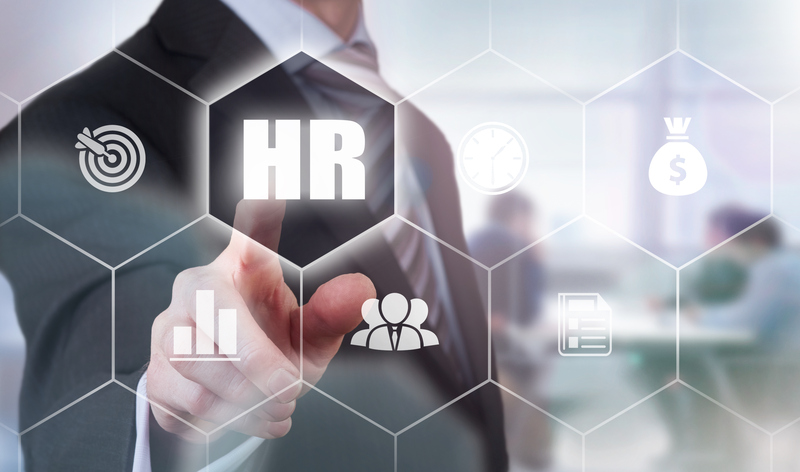 The companies and HR departments that have implemented our K3 Equator software are already benefiting from the practical and effective solutions with integrated payroll, time and attendance, personnel management, training, and pension auto enrolment. And with regard to manufacturing in particular, businesses are using Shop Floor Data Collection (SFDC) to record what jobs have been completed, by who, how long they have taken, how much has been produced, etc. Furthermore, the information is produced in real time. We’ve always been aware that HR needs to keep up with changes in legislation and K3 Equator does this automatically for you. Smooth processes are vital to recruiting and retaining staff. No-one wants annoying hiccups to get in the way of a strong management/staff relationship. Tommy Hynes said, said: “The fall-out from the EU Referendum is starting to really affect companies now, particularly in manufacturing. We don’t know what is going to happen when Brexit itself starts to happen and in the lead up to it with all the uncertainty. But we do want to ensure that HR departments who use our solutions, and those who are considering doing so, are ahead of the game. “HR departments understand staff are every company’s most valuable asset. That means they need smooth integrated processes in place to look after everything from payroll to collecting real time data, updating legislation to holiday rosters, and this has never been more important than it is now. Equator from K3 www.equatorhr.com is used across a wide range of industries. It provides software which can be adapted to suit the needs of the business user whether that is as a standalone product or integrated into the customer’s own system. 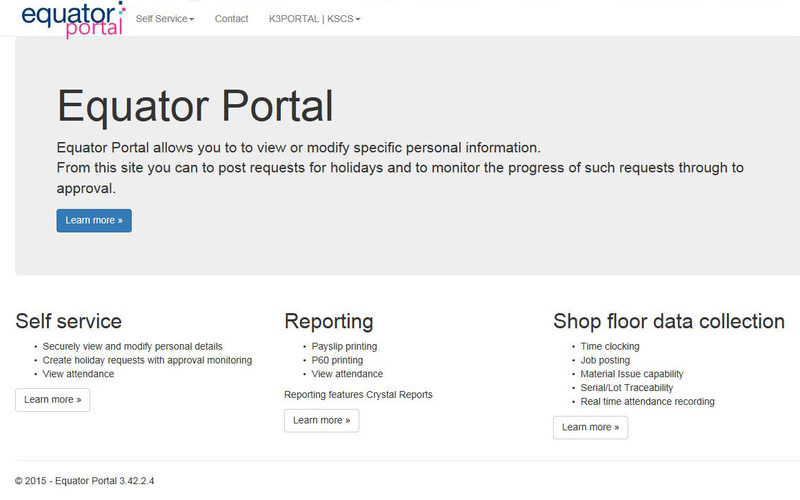 Enhancing the Employee Portal holiday and absence functionality to allow managers to authorise holidays directly from the requesting email. This does away with the need for managers to have Equator deployed on their desktop for this purpose. An option to email the Emergency Report from real time. Instead of waiting by the printer for an emergency roster to be printed off it can now be sent via email. Extra functionality added to the Employee Roster to provide an option to use it as a holiday planner too. This means HR can see very quickly the details of who is on holiday or absent with totals of hours automatically calculated. Changes to increase the number of available additional functions such as the ability to export to Microsoft Excel. New icons across the software suite to give it a more modern look and feel.